The theatre workshop was created in 1983 and since then, has provided all pupils interested in acting with a genuine acting course. Students must be in year ten, eleven or twelve in order to participate. The course takes place every Wednesday from 1:30 to 3:30 p.m. and covers various topics, such as being present or how to occupy space, the importance of listening and expression, improvisation (the best way of stretching that tool essential for all good actors: the imagination), and the construction of characters for the stage. All members of the workshop will experience taking part in a production at one point or another, whether these are plays, student work or performances, or themed evenings held within the establishment or at various venues throughout the city. At the same time, the workshop aims to be a meeting place which allows participants the opportunity to encounter the city’s various cultural partners. Pupils also benefit from preferential rates for shows and performances at the Scène Nationale Le Volcan national theatre. For approximately ten years, we have worked closely with Le Poulailler, a small downtown amateur theatre, with an intimate atmosphere. This venue also offers the possibility of extended series of productions. Therefore, for the past 10 years, students from the theatre workshop have had the opportunity to play characters from Musset, Casona, Chekhov, Molière, Koltès, Shakespeare, Racine, Corneille and Marivaux, to present a scene from the Theatre of the Everyday, or an original creation inspired by some of the most beautiful scenes from the silver screen. After all, the purpose of a theatre workshop such as ours is bring to life or play, over again, the passions that have inspired man since time immemorial. 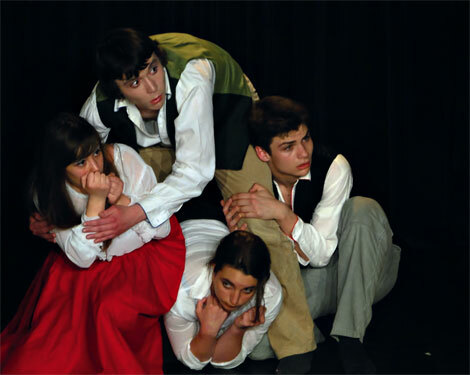 Since 2004, at the initiative of the APEL Parents’ Association, students have also been able to benefit from acting classes, suited to their level and availability. These lunchtime workshops are available on Mondays, Tuesdays and Fridays, from noon to 1 p.m. The school is home to top level athletes. The school’s lead teachers and partner associations or clubs work together to ensure that students may pursue their studies and continue to practice their sport at a high level (flexible timetable, regular meetings between the various sporting bodies involved, support, etc.). All students have the chance to practice a sport of their choice and to wear the school’s colours at any one of the different competitions organized by the French national school sporting union (UNSS). Athletes are supervised and trained by the P.E. teachers at Saint Joseph. Volleyball: fourth place in the Championnats Académiques, district champion in 2009. In 2010 the junior team was district and departmental champion and finished second in the Championnats Académiques. Sailing: Interregional high school cup, first-time competing in 2011 (placing third out of 11). 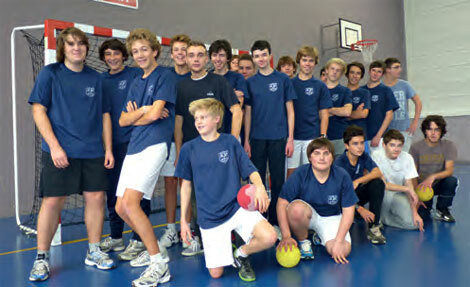 In 2012 two teams from the school competed, placing third and sixth. 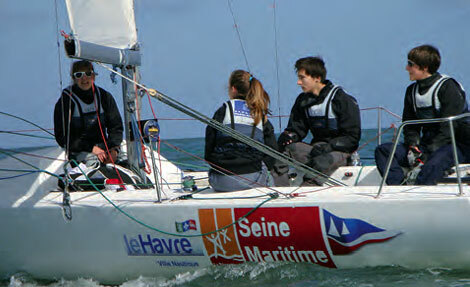 Students took part in the 2013 high school cup in Dieppe and placed fourth. Leisure activities are available for day students during lunchtime periods and include gymnastics, aerobics, modern dance, theatre and singing lessons. The choir welcomes budding singers twice a week and covers a repertoire ranging from French song to musicals and contemporary music.